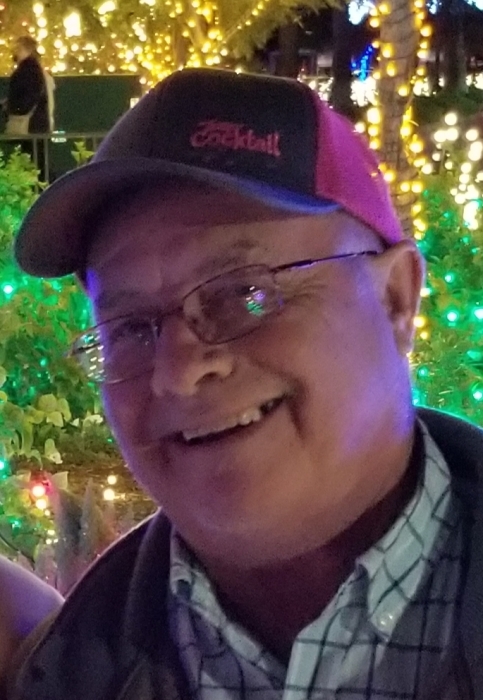 Mass of Christian Burial for Jacky D. “Jake” McKiver, 66, of Groton will be 10:00 a.m., Thursday, July 26th at St. Elizabeth Ann Seton Catholic Church, Groton. Father Mike Kelly will officiate. Burial with military honors will follow in Union Cemetery under the direction of Paetznick-Garness Funeral Chapel, Groton. Visitation will be held at the church on Wednesday from 5-7 p.m. with a wake service at 7:00 p.m.
Jake passed away July 22, 2018 at Mayo Clinic Methodist Hospital in Rochester, MN surrounded by his family. Jacky Dale was born in Aberdeen on April 1, 1952 to Dale and Marjorie (Fritz) McKiver. He was raised on the family farm where he developed a lifelong love of farming. He graduated from Groton High School in 1970 and enlisted in the US Army Reserve in 1972. Jake married his high school sweetheart, Renee Daly on September 15, 1973. They were blessed with three healthy children, Steven in 1974, Kristi in 1976 and Katie in 1980. Jake worked various jobs throughout his younger years. He later attended NSU and graduated with a Computer Science Degree. He opened Jack’s Tax Service in 1993, which he ran until his retirement in 2015. During these years, Jake continued to farm, often helping his good friend and cousin, Rick Reber. He married Debra (Hoops) Olson on February 6, 2017 and found great companionship and love following the untimely passing of Renee in 2013. Jake was a longtime member of the Groton American Legion Post #39 where he held various offices and was a devoted member of the honor guard. One of his favorite outings was going to Deer Camp, where “What happens at deer camp, stays at deer camp!” He will forever be remembered for his infectious laugh and good nature. He loved visiting with friends and family and could brighten the day with his big smile. Jake loved his grandchildren and great-granddaughter dearly. He was a good man, friend, husband, father, grandpa and brother. Celebrating his life is his wife, Debra of Groton, children, Steven (Audrey) McKiver of Mandan, ND, Kristi (Ben) Peterson of Groton, Katie (Chad) Kampa of Groton, 5 grandchildren, Jocelyn, Shaylee and Drake Peterson, Dacey & Dane Kampa, great-granddaughter, Evalynn, step-children, Nicholas (Stephanie) Olson, Justin Olson, step-granddaughters, Eva and Kennedy Olson, his siblings Allen (Sherry) McKiver, Sharon (Larry) Sombke, Nancy (Merle) Walter, Bill McKiver, Gloria (Bernie) Huber, Carla Ronning, Gail (John) Zeck, sister-in-law, Lynette (Larry) Fransen, brother-in-law, Steve (Patti) Daly and mother-in-law, Beulah Hoops. Preceding him in death were his parents, his wife of 40 years Renee, an infant brother, Kenneth, brother-in-law, Lonnie Daly and grandson, Christian Allen McKiver. Honorary Casketbearers will be the Class of 1970 and all of Jake’s Deer Camp Buddies. Casketbearers will be Charlie Robinson, Bob Wegner, Rick Reber, Rodney Boehmer, Steve Herron, Gordy Weideman and AJ McKiver.